Kaushalya Weeraratne (born January 29, 1981 in Gampola) is a former Sri Lankan cricketer, who played limited over cricket. 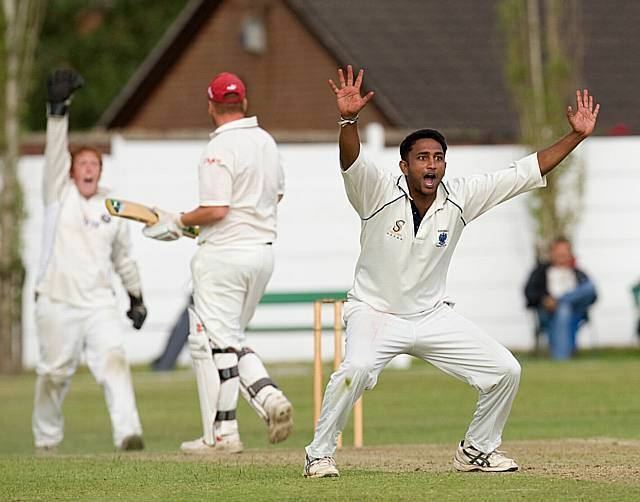 A hard hitter of ball, Weeraratne is a left-handed batsman and a right-arm medium-fast bowler. Weeraratne had his secondary education at the prestigious Trinity College, Kandy, the only school in the world to own a Test class cricket stadium. He holds the record for the fastest ever List A 50, beating Adam Hollioake's record by 3 runs in a 12 ball effort. His innings for Ragama included an over that went for 34 runs with 5 successive 6's. He has also played for Sultans of Sylhet in Bangladesh's NCL T20 Bangladesh. Though his batting is currently not as strong as his bowling (predominantly right-arm away-swingers), he is solid at both disciplines. He was part of the Sri Lankan under-19 World Cup squad in 2000 and was selected for that year's Asia Cup in Dhaka. He retired from all cricket in 2014.